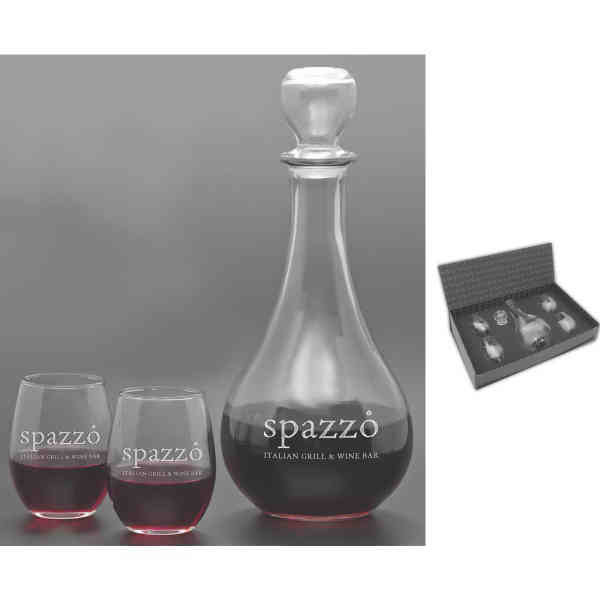 From branded glassware to corporate gifts and beyond, the Loto Carafe Set is built to get your brand noticed. With one 42 oz. decanter and four 9 oz. stemless wine glasses, you'll be ready to serve and entertain your guests with style. It comes packaged in a presentation box that keeps the cups safe and can be reused as storage. Etch your company logo on all five pieces to increase brand awareness. Clients will love using this great product! Weight: 6.5 lbs.